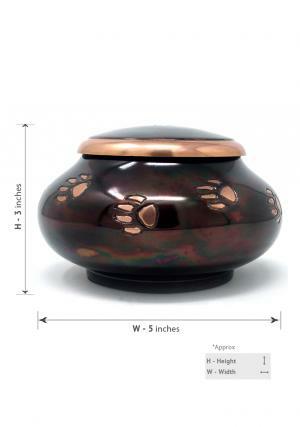 The paw print pet urn is a modern and affectionate way to remember your loved friend. 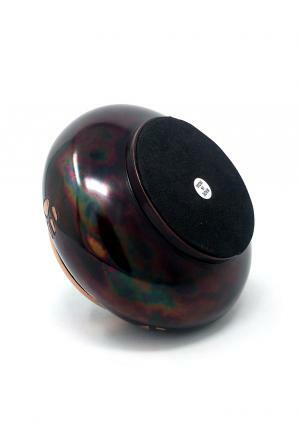 It is hand cast from superb quality polished brass. 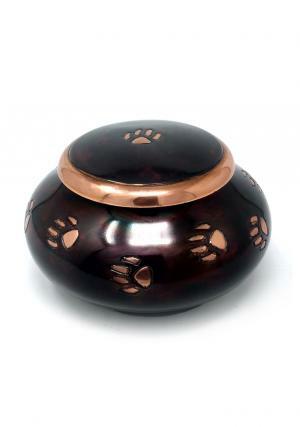 The lid is brushed brass, and is engraved with a pair of polished brass paw prints. Losing a pet is a difficult and upsetting time. 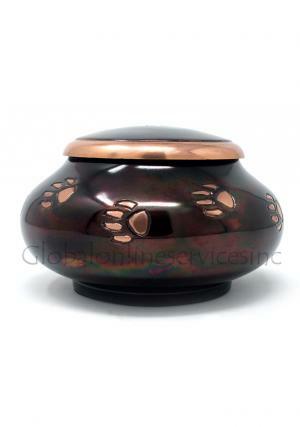 Memorialising your furry friend with a pet urn can be the perfect way to keep his or her memory alive. 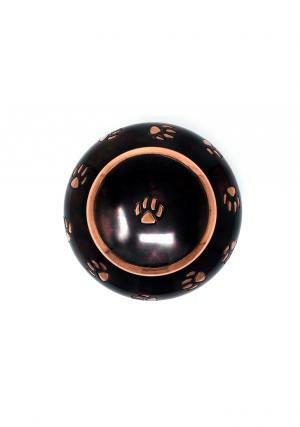 All of our pet urns are designed to be included as part of a visible memorial to your much-loved family animal – the paw print pet urn is suitable for all forms of loving pets, as it has no specific species on its design. 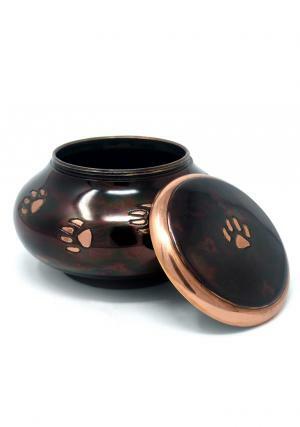 With a strong screw thread holding the lid to the body of the urn, the paw print pet urn is a hygienic and trustworthy funerary pot.